The Assyrian King Ashurbanipal collected a library of thousands of cuneiform tablets at Nineveh. Among them was a story of Gilgamesh, a legendary post-flood king of Uruk (biblical Erech) and his quest for immortality. 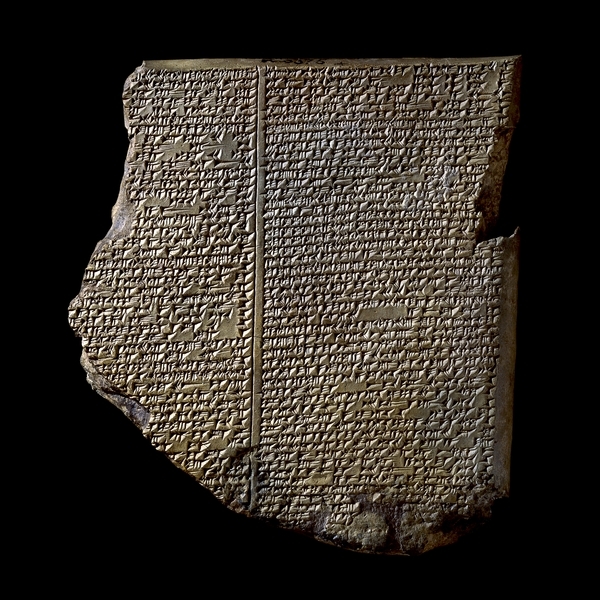 The eleventh tablet of Gilgamesh, describes his meeting with Utnapishtim, whose name means literally, "long-lived." Utnapishtim had been forewarned of a great flood. He built a boat, loaded it provisions and animals, and along with his family rode out the great storm. He released a dove, a swallow and a raven in his search for dry land. This Assyrian version of the flood story was identified by George Smith in 1872. According to witnesses, upon reading the text, he jumped up and danced around the room in a state of excitement, and to their amazement, commenced to undress.